Propane clothes dryers offer faster drying that's easier on fabrics, produces fewer wrinkles, and delivers greater energy efficiency compared with electric models. At home, or in a business, a propane-powered clothes dryer will get the job done fast, with fewer wrinkles. Propane is easier on your budget, too. Even with huge energy cost savings, propane dryers are packed with high-performance features like steam cycles to de-wrinkle and freshen garments, drum lights to make it easier to see into the unit, LCD control screens for ease of use, and other time- and labor-saving features. Keep exploring to learn more. 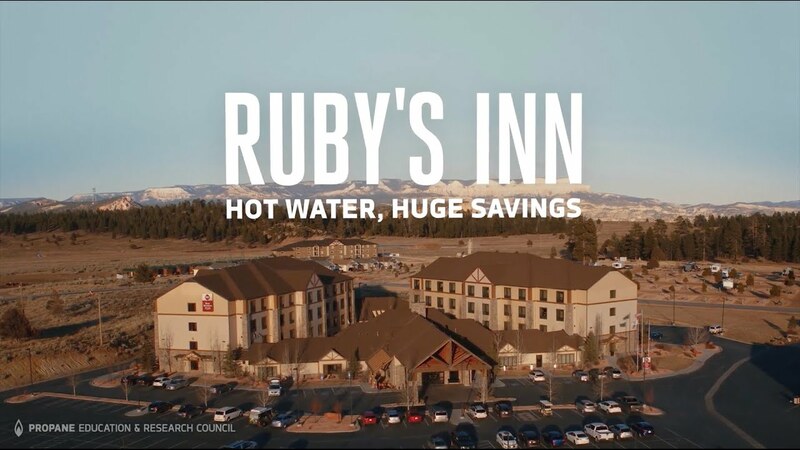 Propane tankless water heating systems helped Ruby's Inn lower operational costs and enhance guest comfort. But the resort also relies on propane to wash and dry tons of laundry each day, provide gourmet meals, and more. Facts about propane clothes dryers and the advantages over other energy options. Will I save money with a propane clothes dryer? Yes. Propane clothes dryers can save over 20 percent in energy costs compared with electric dryers. The efficiency and cost benefits are created by the propane dryer’s higher heating capacity, shorter cycle times, and features like pilotless ignition. What kind of energy bills can I expect from a propane clothes dryer? Propane clothes dryers will generally cost around $40 to $80 per year to operate. This range will vary based on local propane rates, how often the dryer is used, and how well it is maintained. Do propane clothes dryers include upgraded features like other models? Yes. Propane clothes dryers offer the latest innovations such as steam cycles to de-wrinkle and freshen garments, drum lights to better see into the unit, and LCD control screens for ease of use.